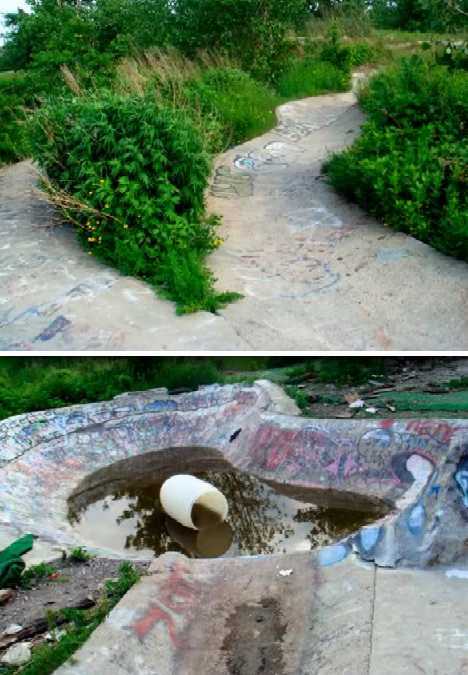 Looking like reinforced concrete reflections of topographic terrain, the abandoned ruins of once raucous skateparks lie scattered across the urban landscape. 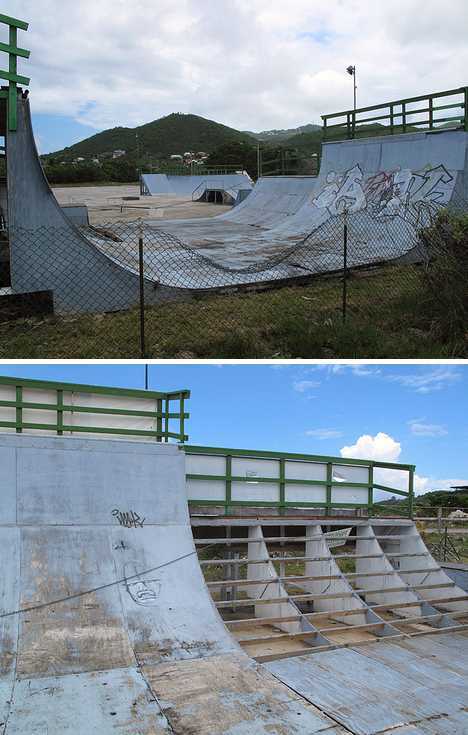 The friendly Caribbean island of Sint Maarten (Dutch) or Saint-Martin (French), depending on whether you’re in the south or north respectively, boasts an expansive and awesome skate park that’s unaccountably abandoned. French signage indicate the park is located in the north of Saint-Martin and the relative lack of both physical decay and obvious graffiti suggest it was closed recently. Many thanks to Flickr user Mookiemu3 for recording the silent scenery and posting his impressions for public view. 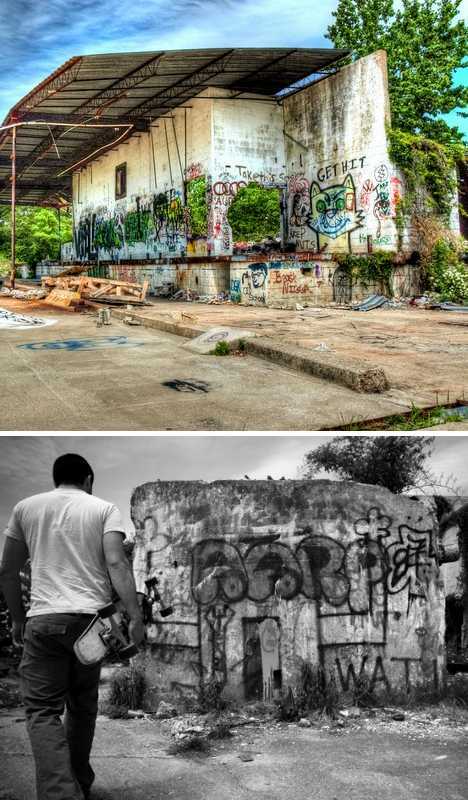 As every urban explorer knows, abandonments embody a unique beauty that can be appreciated second-hand through the efforts of skilled photographers. 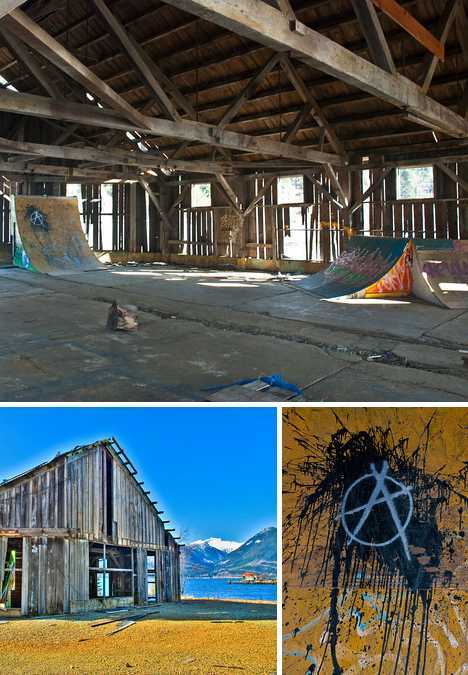 Such is the case here, in a nameless abandoned mining town on the road to Whistler, B.C., where anonymous skateboarders set up an exquisite little skate park withing the shell of a decrepit and decaying warehouse building. 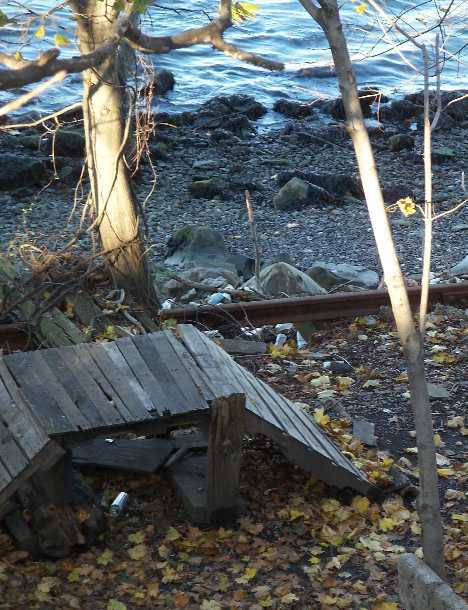 A rail line used to run along the coast of Kill van Kull in front of Sailor’s Snug Harbor on the north coast of Staten Island but erosion led to its being abandoned in 1990. A neighboring skate park was also closed around that time and only a few relics remain of both the railroad and the skate park. Not many New York locales have been allowed to return to nature but when it happens, it happens surprisingly quickly. In the course of a generation, saplings have taken root and wood planking has taken to rot while seasonal cycles of frost and fire nibble away at the remaining infrastructure. 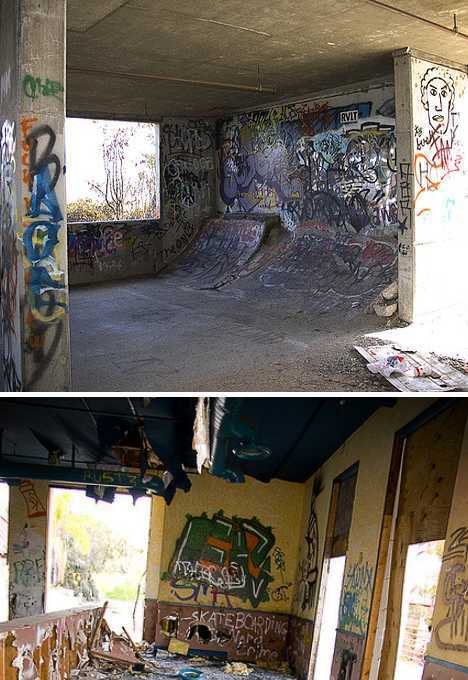 Laguna Niguel is said by many to be the jewel of Orange County but like every silver cloud, the upscale community has a dark lining… in this case, the dank bowels of an abandoned restaurant where skateboarders set up an impromptu mini-park before being evicted by the local police. Many thanks to Jesse Childers who eluded the fuzz long enough to capture these eerie scenes of urban desolation lurking beneath the bright facade of the California Dream. Brian Distad is an up & coming media maven who’s shown a real knack for exploiting the eye-opening opportunities offered by HDR photography. “I love the surreal feeling that you can get from HDR by pulling out tones and details that you can’t find in regular photographs,” explains Distad, and these images of an unnamed and unmourned abandoned skate park take photographic surrealism to the next level. The human element may lead some to believe Distad’s subject isn’t as abandoned as it seems but when it comes to skate parks and skateboarders, “abandoned” isn’t a black & white issue. Many boarders just take the graffiti, flotsam, jetsam and pools of stagnant water as just another batch of obstacles to avoid. 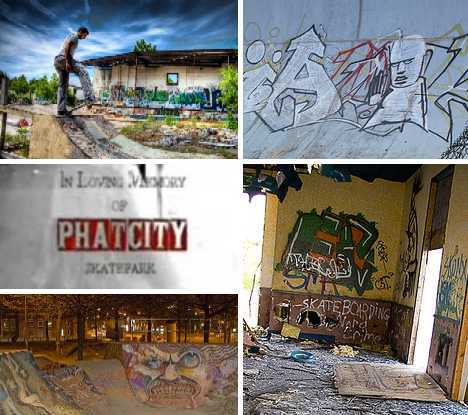 The youths around the Wood Lawn and Catonsville area west of Baltimore, Maryland lost a cool recreational outlet when the Cascade skate park closed down. Relatively unmarred by graffiti yet fighting a losing battle against windblown dust, dirt & sand, the park’s bowl is in decent enough shape for the odd outlaw boarder or two to take their chances on dry days. Formerly California’s largest marina, The North Shore Beach and Yacht Club on the northeastern shore of the inland Salton Sea opened in 1962 and was patronized by celebrities including The Beach Boys, Jerry Lewis, and the Marx Brothers. A major flood in 1981 led to the closing of the facility in 1984 and two decades of abandonment ensued. 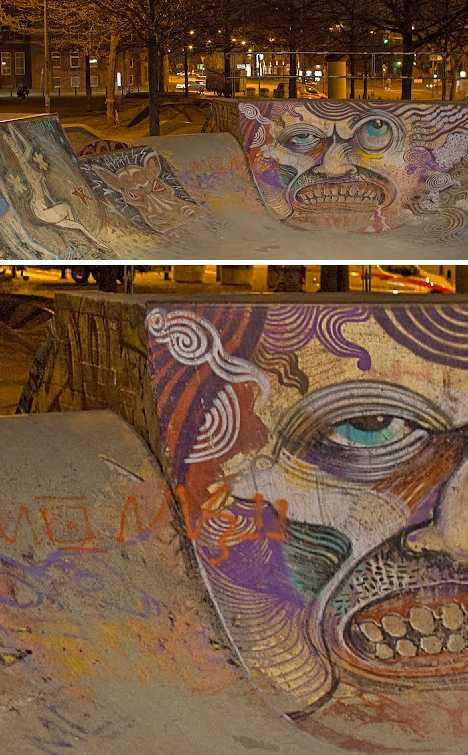 The shoreside swimming pool was taken over by skateboarders who progressively decorated it to suit their own style. In the summer of 2009, Riverside County approved an influx of federal stimulus funding which resulted in the renovation and repurposing of the property to become the Salton Sea History Museum which opened in May of 2010. 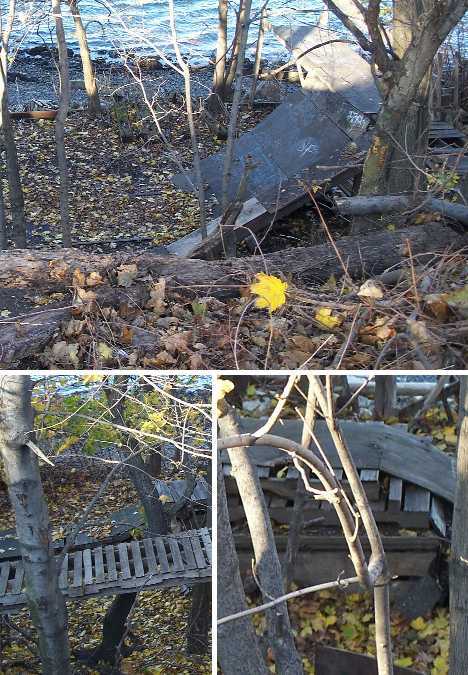 The shoreside pool slash skate park didn’t survive the restoration, however, having been deemed an insurance liability. It’s now a children’s activity deck. 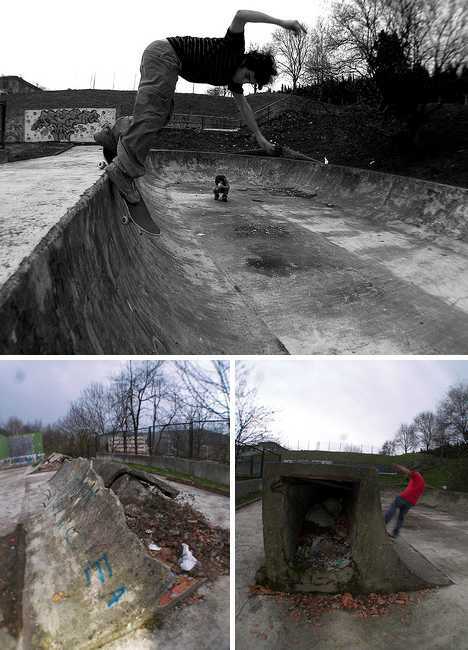 Like a well-aged bottle of fine wine, abandoned skate parks like the one above in Bremen, Germany gradually acquire a distinctive flavor though in the latter case the feeling is visual in nature. As such, they enter into a sort of exalted existence in which they’re too decrepit for practical use by skateboarders yet find a secondary benefit as objects of urban folk art. New Zealand… not just Lord of the Rings film locales and sheep anymore! 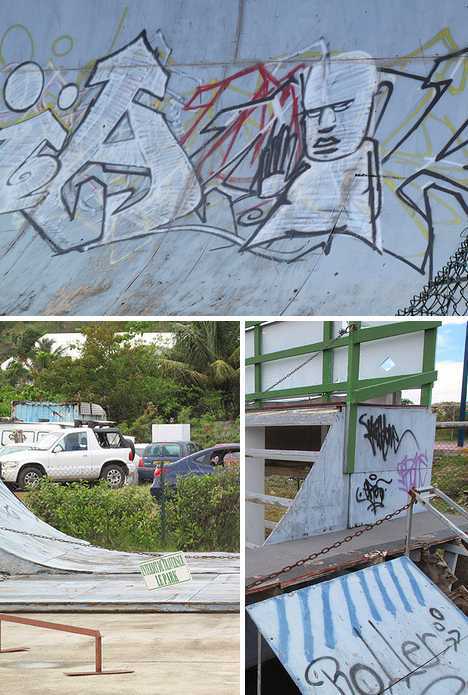 Lurking almost unnoticed behind Wellington Hospital in the suburb of Newtown lies a weather-beaten relic of antipodean recreation: a nameless, graffiti-encrusted abandoned skate park. 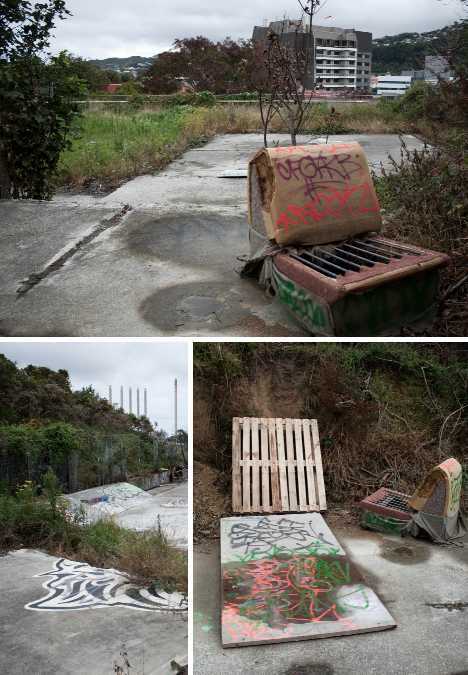 New Zealand-based photographer and self-styled “Urban Archaeologist” Fergus Cunningham has skilfully crystallized the aged essence of the forlorn skate park, which from some angles reminds one of the ancient stone ball courts of prehistoric Teotihuacan… minus the post-game human sacrifices, one hopes. 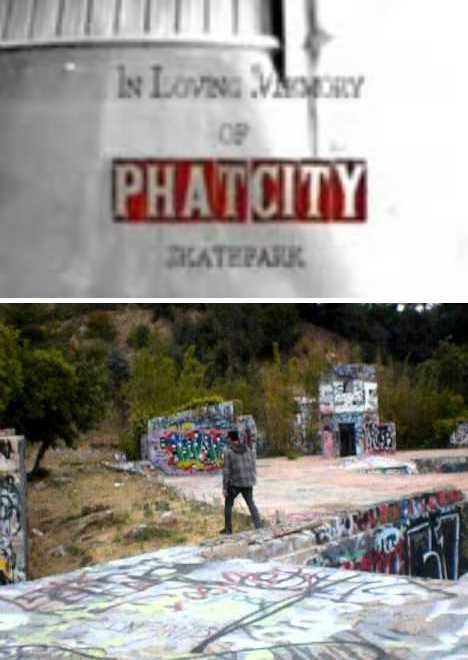 There’s not much anyone can say about the late, great, Phat City Skatepark. Formerly the pride of Kissimmee, Florida, Phat City most likely succumbed to the one-two punch of rising insurance liability rates and the inflation of the mid-2000’s housing bubble. Seems like a lose-lose situation all around. Wedged comfortably between Atlantic City and the Atlantic Ocean, Absecon is a simply delightful slice of suburban life, southern New Jersey style. 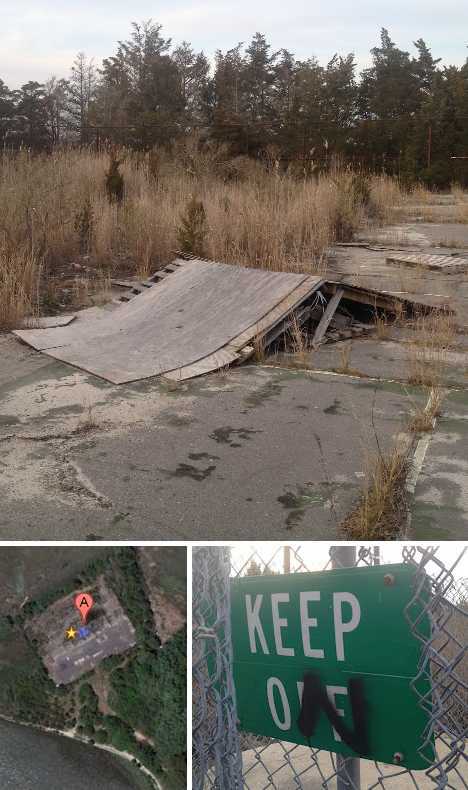 It was even more delightful in the early ‘nineties when local skateboarders re-purposed the abandoned tennis courts at Absecon Shores as an out-of-the-way skate park. Good times! Unfortunately, all good times come to a sad end sometime and by 1995 the area County Mounties had heard enough of the unofficial skate park (probably from the ‘boarder’s parents) to take action. Brawls, booze and blood make unpleasant bedfellows at the best of times and by the time the cops closed things down everyone seemed to have had their fill. 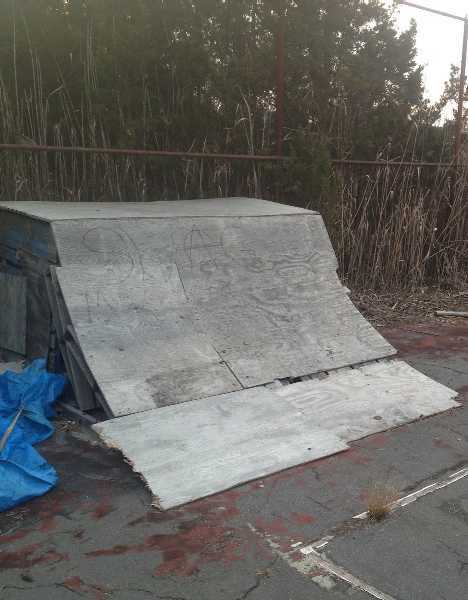 Almost 20 years later, the so-called Absecon Skate Park remains unmolested and unimproved, which may be just as well unless you try a trick off one of the rotten ramps. Forgotten in the wilds of eastern Massachusetts lurks the remnants of an early 1970’s skate park. With the landscaping allowed to run wild the place doesn’t look too bad, and could probably be skated or biked on days when the low-lying water’s evaporated. Looking for excitement in Guipuzcoa, nestled in the heart of Spain’s Basque Country? 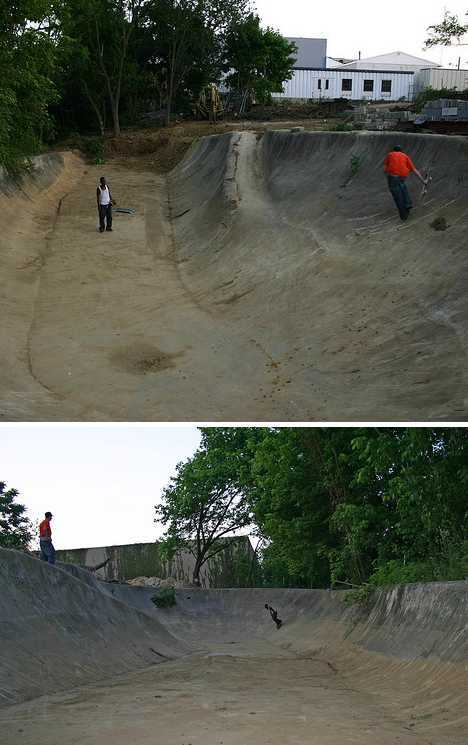 You won’t find it at the abandoned Basanoaga Bowl, an imposingly large reinforced concrete skate park that’s definitely seen better days, none of them recent. Spain as a whole has seen better days if truth be told and the unemployment rate is well into the double digits – even higher for youths. You might think the authorities would be eager to keep those angry young men (and women) off the streets and occupied in less revolutionary activities… like skateboarding. Kudzu, the fast-growing invasive vine dubbed “the green menace” originally came from Japan where it’s had a lot more time to climb on stuff people actually use. 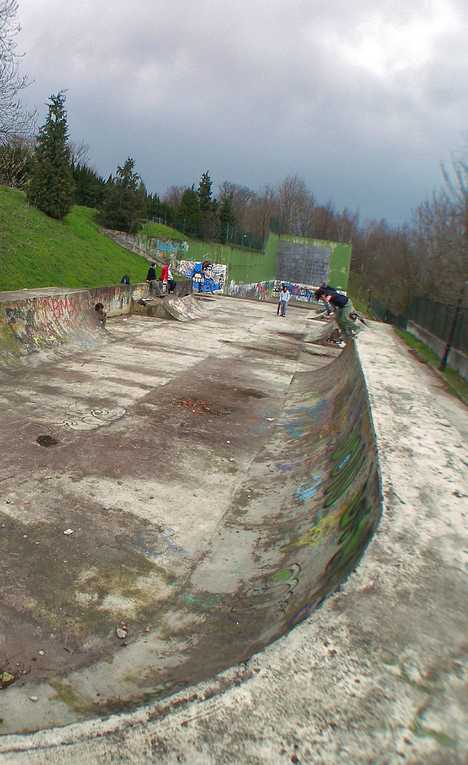 Take this abandoned skate park in Kofu, west of Tokyo… we weren’t taking to the Kudzu but from the looks of it, it doesn’t care. 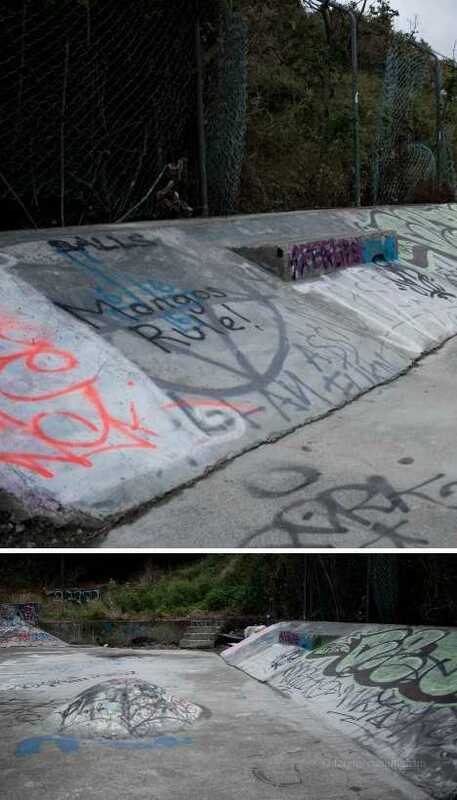 Moguls at a skatepark? 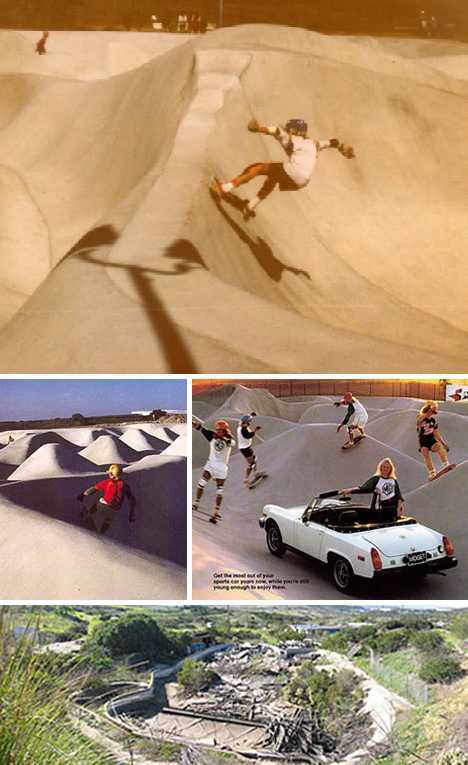 We can forgive the designer of California’s Carlsbad Skatepark for possibly mixing up skateboards with snowboards as there were very few, if any, large-scale skateboard parks around to serve as inspiration. The result didn’t inspire future park designers but it provided many a wild ride to ‘boarders of a bygone era. 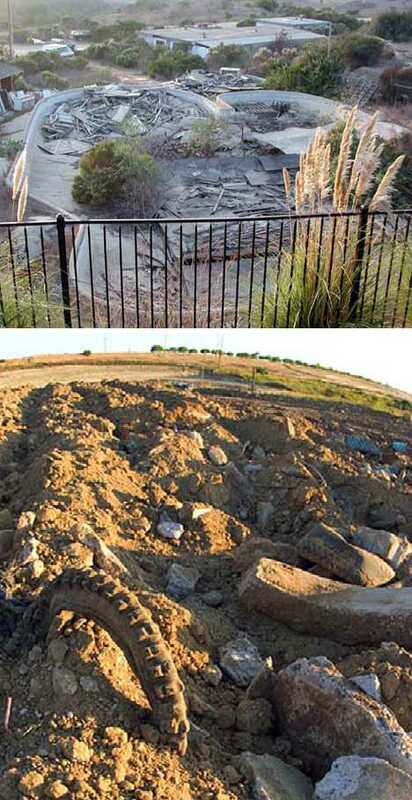 After decaying for about 15 years, the former concrete dune field was bulldozed just in time to witness the collapse of the SoCal housing market. One ruin leads to another, one might say!